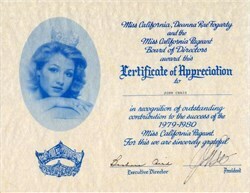 Beautiful Certificate of Appreciation from the Miss California Deanna Rae Fogarty issued between 1979-1980. 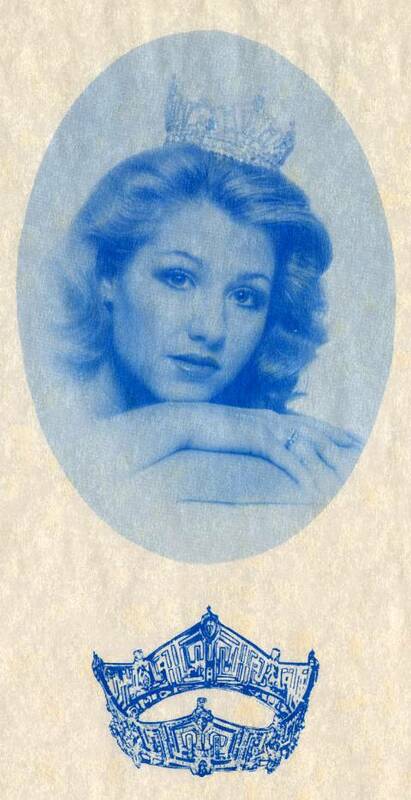 This historic document has an ornate vignette of Miss California Deanna Rae Fogarty . This item has the original signatures of the President and Executive Director, and is over 33 years old.